The long, shimmering tendrils of the Italian Lakes are snuggled into the deep-cleft valleys of the foothills where the broad, fertile, and industrious plains of the Po River Valley wash up against the mighty, craggy peaks of the Alps and the Dolomites. These lakeshores are strung with fishing villages, medieval castles, lavish Renaissance palazzi and Neoclassical villas, ancient ruins, and sumptuous gardens spilling right down the water's edge. In a single day, you can windsurf past Europe's northernmost lemon groves, stroll through a park of prehistoric rock carvings, tour the castle where Goethe was arrested on suspicion of being a Austrian spy, then retire to your room in the 19th-century villa where Mussolini spent his final days hiding out with his mistress—and that's all just on Lake Garda. It's not hard to see how this region has inspired everyone from Catullus to Ernest Hemingway to George Lucas. The lake district stretches across four Italian regions and 10,000 years of human history—from the prehistoric rock carvings near Lake Iseo, to the Roman ruins on the Sirmione peninsula guarded by a moated medieval castle, to Romanesque churches and cliff-side convents slathered in frescoes and sculptures, to the museum-homes of such luminaries as 19th century poet-adventurer Gabriele d'Annunzio. 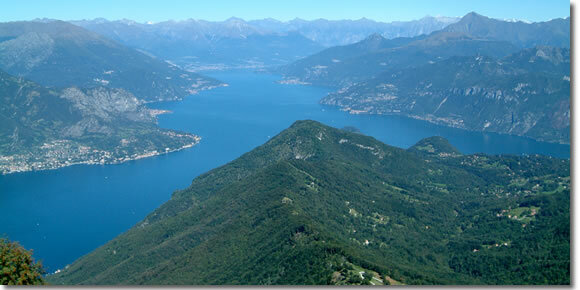 Then there are the minor Italian lakes. Some of these I consider "minor" because of their size (little Lake Idro), or because there is little to do or see there (Lake Varese, and large Lake Lugano, most of which lies in Switzlerland). Still, less popular also often translates into less crowded (and less expensive), so if you're looking for an escape, they might be just the right ticket.